Communities and organizations across the country plan to join the Environmental Protection Agency, Centers for Disease Control and Prevention, and the U.S. Department of Housing and Urban Development in observance of National Lead Poisoning Prevention Week, set for Oct. 25-31. 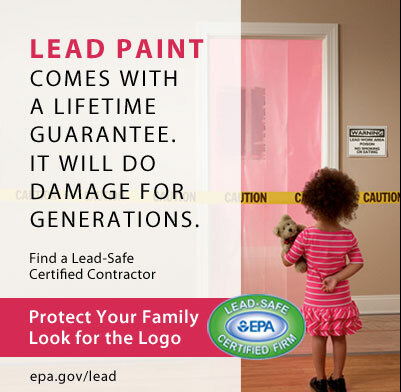 The awareness campaign seeks to educate the public on the dangers of lead, including lead-based paint. The annual week-long event was established in 1999. Nearly half a million children living in the U.S. have elevated blood-lead levels that may cause significant damage to their health, the CDC estimates. The estimate is based on children with a blood lead level of 5 micrograms per deciliter or higher using data from national surveys conducted in 2007-08 and 2009-10. 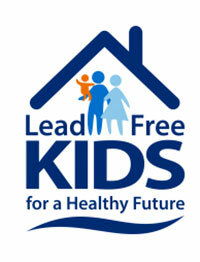 This year's theme is "Lead Free Kids for a Healthy Future." Children under six years old are at special risk for lead poisoning. Major sources of lead exposure to children include lead-based paint and lead-contaminated dust in deteriorating buildings. Children can also be exposed to lead from additional sources including contaminated drinking water, take-home exposures from a workplace, and lead in soil, according to officials. Throughout the week, many states and communities offer free blood-lead testing and conduct various education and awareness events. EPA's Lead Renovation, Repair and Painting Rule (RRP Rule) requires that firms performing renovation, repair, and painting projects that disturb lead-based paint in homes, childcare facilities and pre-schools built before 1978 have their firm certified by EPA, use certified renovators who are trained by EPA-approved training providers and follow lead-safe work practices. The campaign is also international, coinciding with the World Health Organization’s International Lead Poisoning Prevention 2015 Week of Action. The WHO says that, though preventable, global childhood lead exposure is estimated to contribute to about 600,000 new cases of children with intellectual disabilities every year. EPA, HUD and CDC plan to host a lead poisoning prevention week Twitter townhall at 2 p.m. ET on Oct. 28. Thanks, D&D, for reminding the public of this important issue regarding paint removal in older buildings.